This volume on medical tourism includes contributions by anthropologists and historians on a variety of health-seeking modes of travel and leisure. 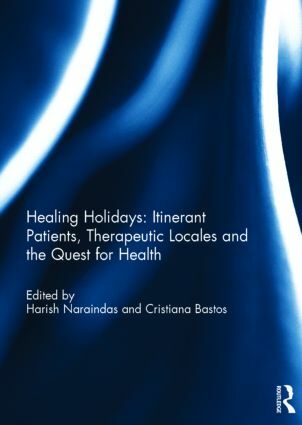 It brings together analyses of recent trends of "medical tourism", such as underinsured middle-class Americans traveling to India for surgery, pious Middle Eastern couples seeking assisted reproduction outside their borders, or consumers of the exotic in search of alternative healing, with analyses of the centuries-old Euro-American tradition of traveling to spas. Rather than seeing these two forms of medical travel as being disparate, the book demonstrates that, as noted in the introduction ‘what makes patients itinerant in both the old and new kind of medical travel is either a perceived shortage or constraint at ‘home’, or the sense of having reached a particular kind of therapeutic impasse, with the two often so intertwined that it is difficult to tell them apart. The constraint may stem from things as diverse as religious injunctions, legal hurdles, social approbation, or seasonal affliction; and the shortage can range from a lack of privacy, of insurance, technology, competence, or enough therapeutic resources that can address issues and conditions that patients have. If these two intertwined strands are responsible for most medical tourism, then which locales seem to have therapeutic resources are those that are either ‘natural,’ in the form of water or climate; legal, in the form of a culture that does not stigmatise patients; or technological and professional, in the form of tests, equipment, or expertise, unavailable or affordable at home; or in the form of novel therapeutic possibilities that promise to resolve irresolvable issues’. This book was originally published as a special issue of Anthropology & Medicine. Harish Naraindas is Associate Professor at Jawaharlal Nehru University, India, Adjunct Associate professor at the University of Iowa, USA, and was Joint-appointments Professor (2008-12), South Asia Institute, University of Heidelberg, Germany. His latest publication is the co-edited book, Asymmetrical Conversations: Contestations, Circumventions and the Blurring of Therapeutic Boundaries. Cristiana Bastos is Senior Research fellow at the Institute of Social Sciences, University of Lisbon, Portugal, held visiting professorships at Brown and UMass Dartmouth, USA, and authored books and articles on health, science, colonial medicine, migration, displacement; her upcoming volumes are on Goa and on race and migration in New England.